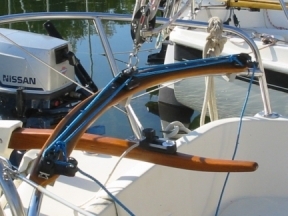 Get control of yourself and your boat with this modification. 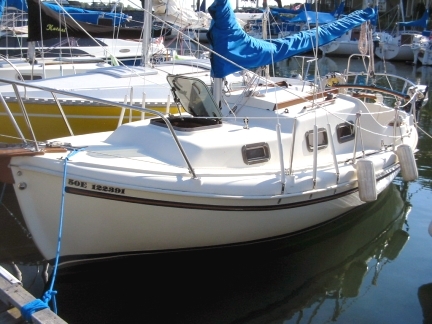 Cap’n Bill has a very nice looking Halman 21 and decided that after years of trying to control the boom with the main sheet attached to the nylon bushing, it was just too much trouble. He first copied an outline profile of the stern pulpit support that served as the traveler. This gives you a general pattern to use for cutting the wood base. In this case, he used oak (started with a 1” x 6” to contain the necessary curvature. The next step is to round and sand the edges as you like and purchase (3) blocks (stainless steel) to use in mounting to the bottom of the oak plate. These are likely to be a bit expensive but you only have to buy them once and they will not corrode or break down again. 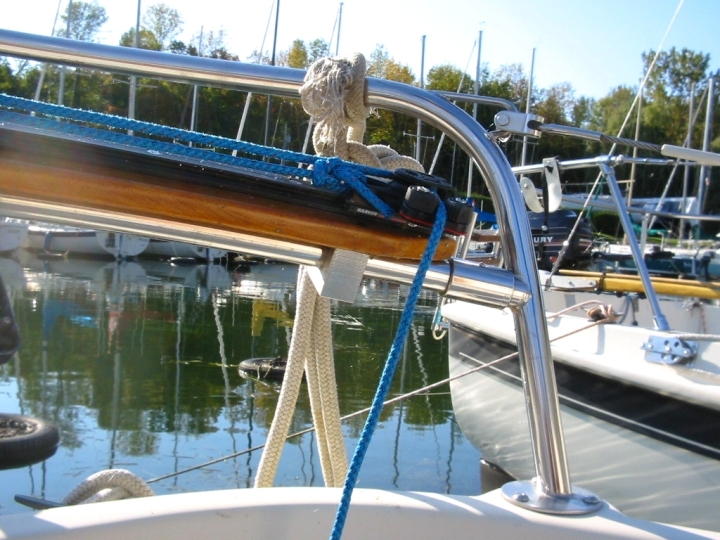 (Another option you can consider instead of using stainless is aluminum but those parts should either be powder coated or anodized to protect them from further corrosion. It all depends on who you know and where you might have to go to get these parts made. 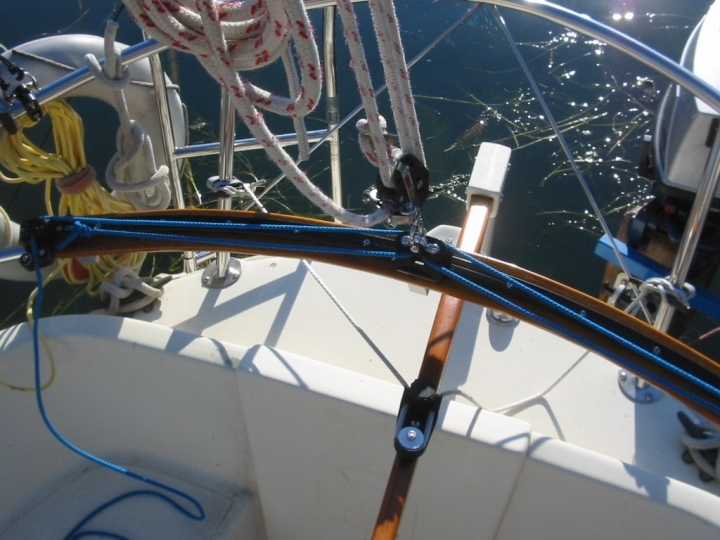 You could also use “U-bolts” around the old traveler tube but that too leads to further clearance issues on the “topside” where the lines and end controls need to be mounted. Planning ahead (and measuring twice) is always encouraged to avoid seeing your best efforts go down without a solution.